After a rocky divorce, Caroline Giblin and her reluctant daughter set out for her hometown of Mayville just in time for Christmas. Caroline finds that not much has changed back home, including her one-time fiancé Clay Traynor, who is as stubborn as ever. 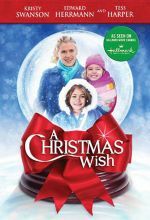 When Caroline and Clay discover a young boy named William squatting in the basement of her grandmother's former house, Caroline wants to let him stay, but Clay is reluctant and secretly contacts the authorities, causing the two to return to their old, bickering ways. What the community of St. Nicholas, Iowa, lacks in size, it makes up for in enthusiasm. So when the mayor and local veterinarian, Sarah (Ann Jillian), reveals that a doctor is needed to keep the area hospital open, the town jumps at the chance to fill the position. 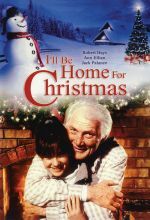 The top candidate is hometown hero Mike (Robert Hays), the widower son of a local man (Jack Palance), who is a practicing surgeon in the city. 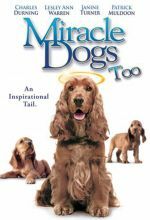 Angel Dog is an uplifting drama with sorrow, sincerity, hope, and humor...a journey of recovery for Jake Bryant, a man who has to learn to love, how to smile, how to live again after he loses everything that matters to him. His inspiration to get off the sofa and go on living comes from somewhere Jake never would have expected a lovable stray named Cooper. Single-mom Martha Evans is praying for a miracle to help her family this Christmas. Little does she know that her neighbors have been working behind the scenes to make her season bright. Starring Kristy Swanson, Edward Herrmann and Tess Harper. 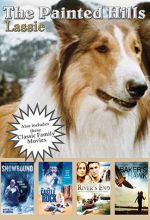 This 5-movie pack includes Lassie: The Painted Hills, Snowbound, Castle Rock, River's End, and Baker's Hawk. Alex, blind since age two, dreams of running for his school’s cross-country team. 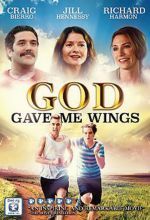 His father, a probation officer, finds a running partner who spends his time ‘running’ from the law. 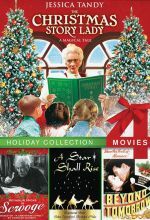 Grace McQueen (Jessica Tandy) has a gift for storytelling that brings a troubled family together during Christmastime and envelops them in a world of imagination. When Grace is offered her own TV show she must decide between becoming a celebrity or staying true to herself. 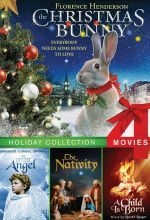 The Christmas Story Lady is a heart-warming tale about the importance of being true to yourself and spending time with your family much in the spirit of the classic film Miracle on 34th Street. 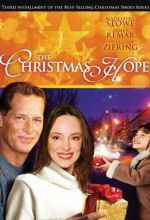 When lives intertwine during Christmas, hope is the only unifying gift. Family comes in many forms. It's through the love of one little girl that the lives of many are brought together during what turns out to be a most joyful time of the year. High-spirited sequel to The Trouble with Angels, starring Rosalind Russell reprising her role. Stella Stevens stars as a modern nun who convinces the Reverend Mother to take the girls on an unforgettable bus trip to a California peace rally. All-star cast: Rosalind Russell, Stella Stevens, Susan St. James, Van Johnson and Milton Berle. 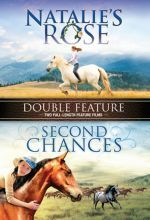 Double feature includes Natalie's Rose and Second Chances. Natalie's Rose is about a fifteen year old girl whose world is turned upside down when her mother loses her battle with cancer on Valentine's Day. 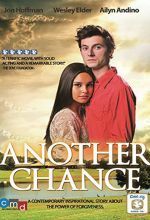 Second Chances is an uplifting tale of a little girl's physical and emotional reawakening after a car crash claims her father's life. The fellowship has broken, but the quest to destroy the One Ring continues. Frodo and Sam must entrust their lives to Gollum if they are to find their way to Mordor. As Saruman's army approaches, the surviving members of The Fellowship, along with people and creatures from Middle-earth, prepare for battle. The War of the Ring has begun. Winner of two Academy Awards. 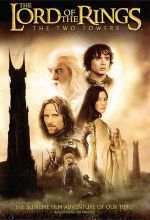 With the help of a courageous fellowship of friends and allies, Frodo embarks on a perilous mission to destroy the legendary One Ring. 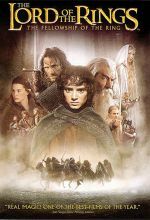 Hunting Frodo are servants of the Dark Lord, Sauron, the Ring's evil creator. If Sauron reclaims the Ring, Middle-earth is doomed. 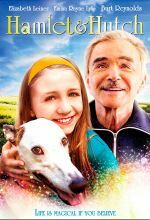 Lassie is determined to help a cynical city boy named Matt, who turns even more resentful when his family relocates to rural Virginia. 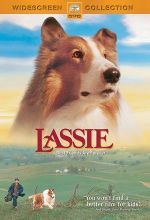 Soon after this move, a bright collie enters the family's life and winds up with the name Lassie because of the television show, which Matt's younger sister watches passionately. Lassie sets out to cheer Matt up and introduce him to the wonders of nature, while also helping the family stand its ground against rich, unpleasant neighbors. 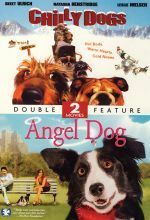 A young boy finds a pair of lost dogs who seem to have miraculous healing powers, but his determination to keep the dogs forces him into confrontation with a dangerous criminal elements, and brings him face-to-face with the potential of his own human spirit. An aging Broadway star suffering from Alzheimer's is forced to move in with his only remaining family. Caught in the crosshairs of a criminal investigation, Derek Taylor recalls the details of his failing marriage and whirlwind affair to a suspicious team of detectives. This faith-based crime drama Stars Ben Davies (Courageous, I Am Not Ashamed). 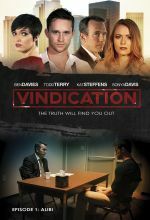 This is the pilot episode of the Vindication series. New episodes coming soon! 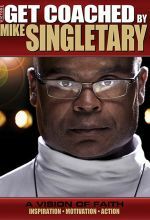 In this Victor 1 GET COACHED DVD, two time defensive player of the year, Super Bowl champion, Hall of Fame inductee and current 49ers head coach Mike Singletary shows that drive, focus, loyalty and faith are unmatched assets in sports...and in life. This great player, coach, motivator, ordained minister, and true believer now shares his vision of faith in 21 intense, on-demand chapters including Lead Where You Are, Inner Greatness, Overcoming Adversity, Constructive Criticism, Innovation and Forgiveness. 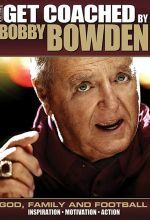 Legendary Florida State football coach Bobby Bowden has led his teams to championship victories over seven different decades.. As a faith-based inspirational speaker, Coach Bowden has addressed hundreds of thousands of people seeking an even higher greatness, and now, with 23 topical chapters including Stewardship, Integrity Proving Ground Play to Win and Invite God In , he brings his best inspiration, advice to you. 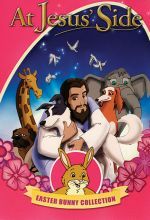 A little shepherd boy dies on his eighth birthday and is whisked to Heaven, where he has a hard time accepting he's really dead and he just wishes to return home. 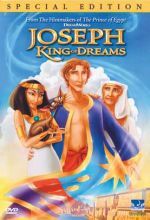 His assigned guardian angel tries his best to help the shepherd boy adjust to his new home, even allowing him to return to Earth to retrieve his special treasure box and to see his parents again. When the shepherd boy witnesses the birth of Jesus, he comes to realize what truly is important in the world. 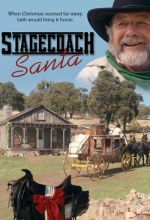 Peter Martin, a sleazy small town politician, has his world turned upside down when two teenagers struggling to overcome their own mistakes bring him face to face with his sordid past.